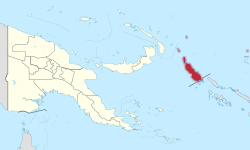 ^ Bougainville independence vote delayed to October. Reuters. 2018-03-01 [2018-03-02] （澳大利亚英语）. Oliver, Douglas. Bougainville: A Personal History. Melbourne: Melbourne University Press. 1973. Regan, Anthony; Griffin, Helga (编). Bougainville Before the Crisis. Canberra: Pandanus Books. 2005. Pelton, Robert Young. Hunter Hammer and Heaven, Journeys to Three World's Gone Mad. Guilford, Conn.: Lyons Press. 2002. ISBN 1-58574-416-6. Gillespie, Waratah Rosemarie. Running with Rebels: Behind the Lies in Bougainville's hidden war. Australia: Ginibi Productions. 2009. ISBN 978-0-646-51047-7. ABC Foreign Correspondent- World in Focus – Lead Story (1997) Exclusive interview with Francis Ona. Interviewed by Wayne Coles-Janess.